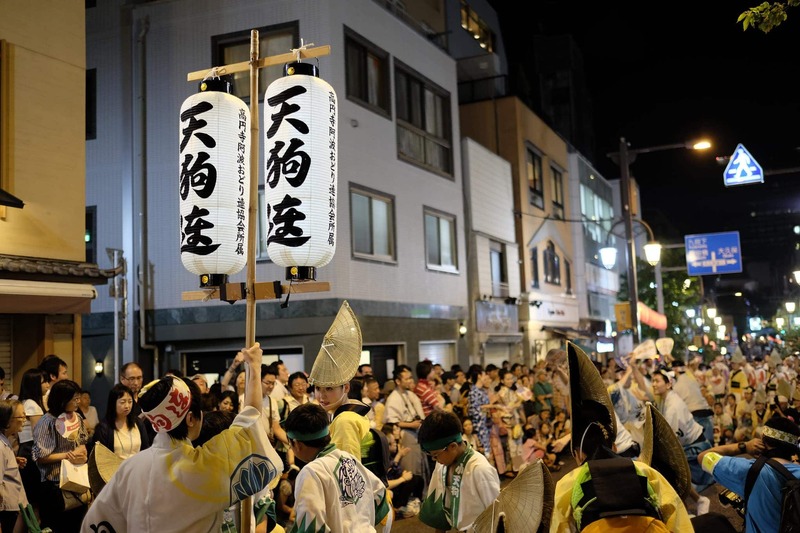 Back when I used to live in Waseda, one of my favourite places to hang out was the quaint neighbourhood of Kagurazaka (神楽坂) which provides a snapshot of old Tokyo with its many narrow alleyways and traditional restaurants. 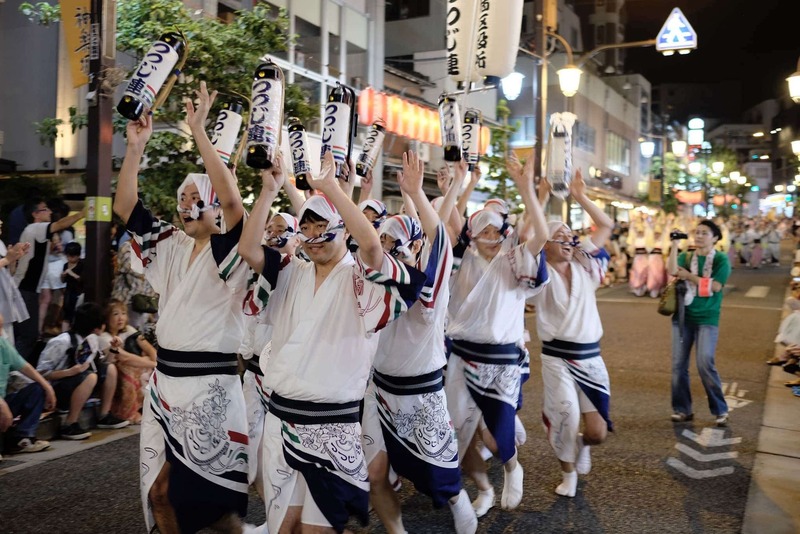 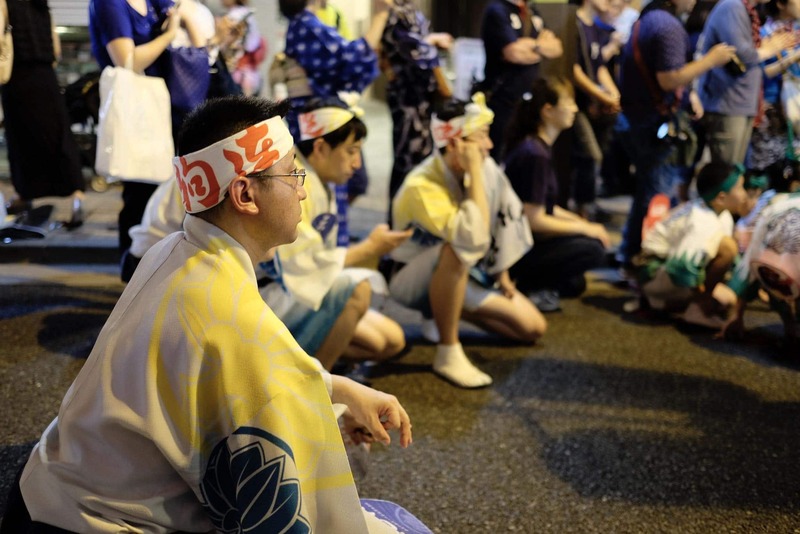 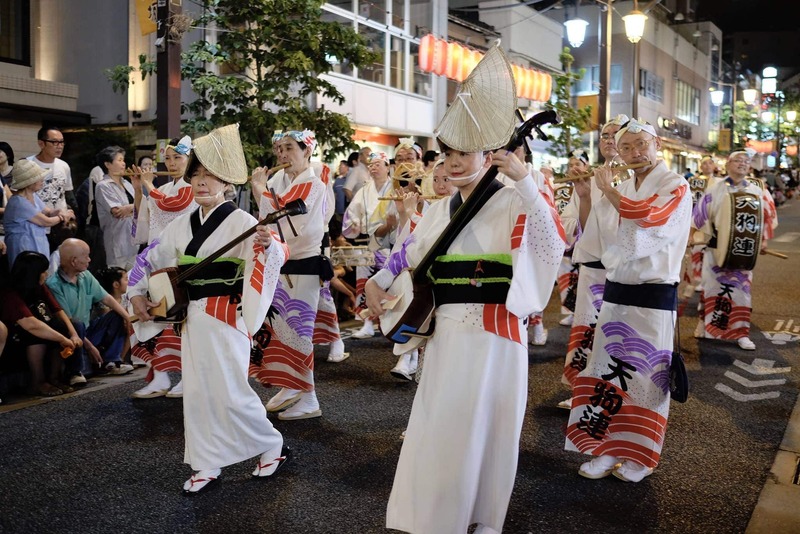 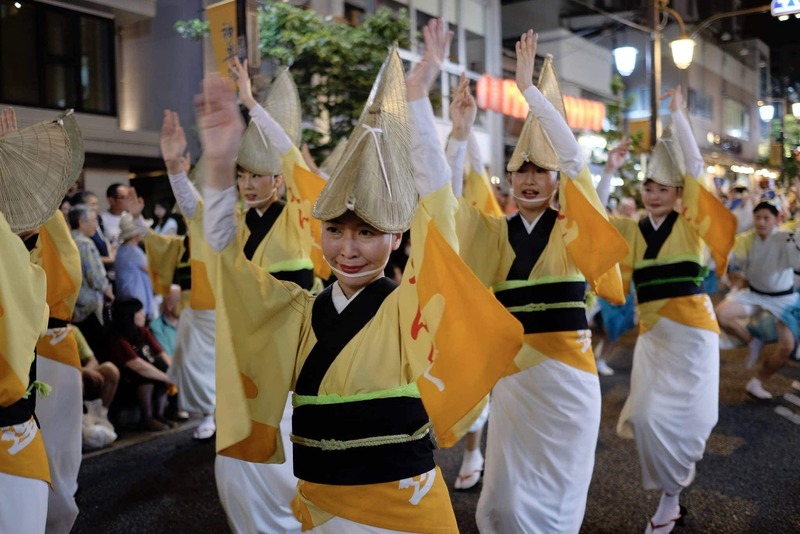 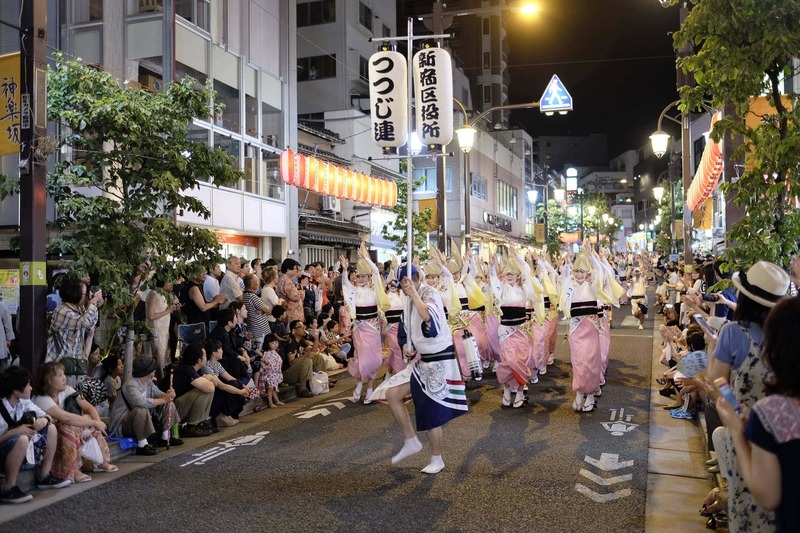 Over the summer I paid a return visit one evening to enjoy the annual Awa Odori (阿波踊り) festival which is held along the main Waseda Dori shopping street. 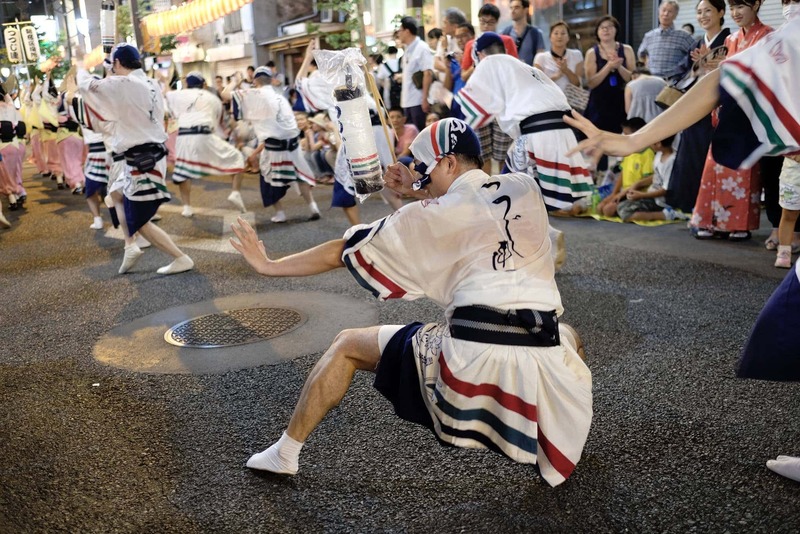 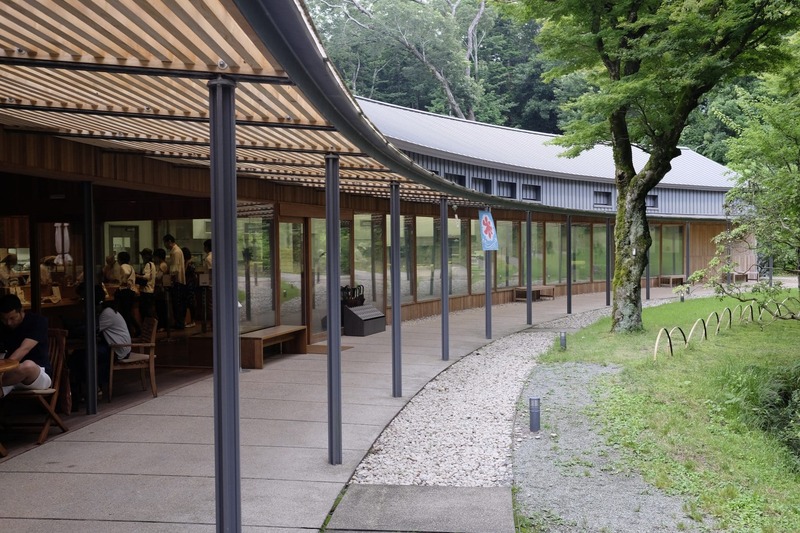 The unique dance originates from Tokushima in Shikoku where it grew out of the tradition of the Bon Odori which is danced as part of the Obon “Festival of the Dead”, a Buddhist celebration where the spirits of deceased ancestors are said to visit their living relatives for a few days of the year. 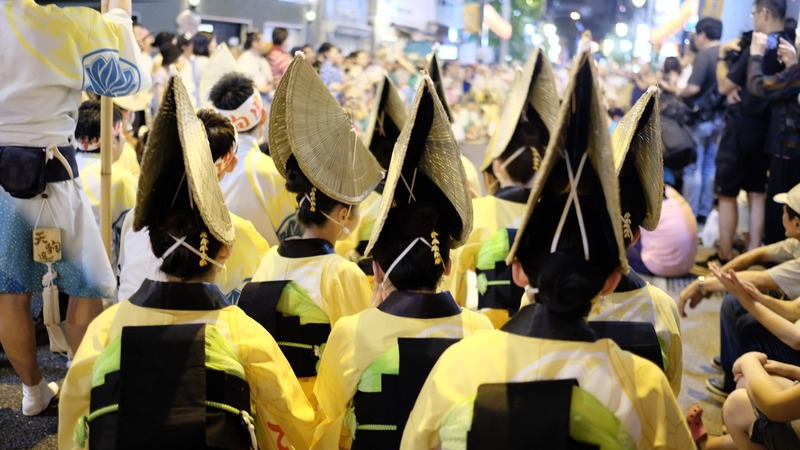 Although I’ve attended similar festivals in Koenji and Shimokitazawa in previous years I’m always attracted back by the brightly patterned costumes and the hypnotic energy of the occasion which brings together both young and old who revel in the traditions. 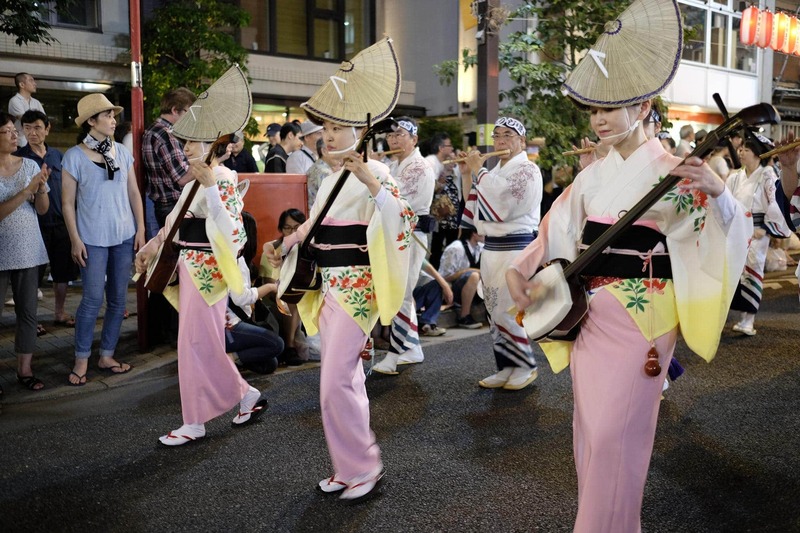 The combination of the steep hill and humid conditions meant it was sticky work to keep the crowd entertained but it looked like a lot of fun. 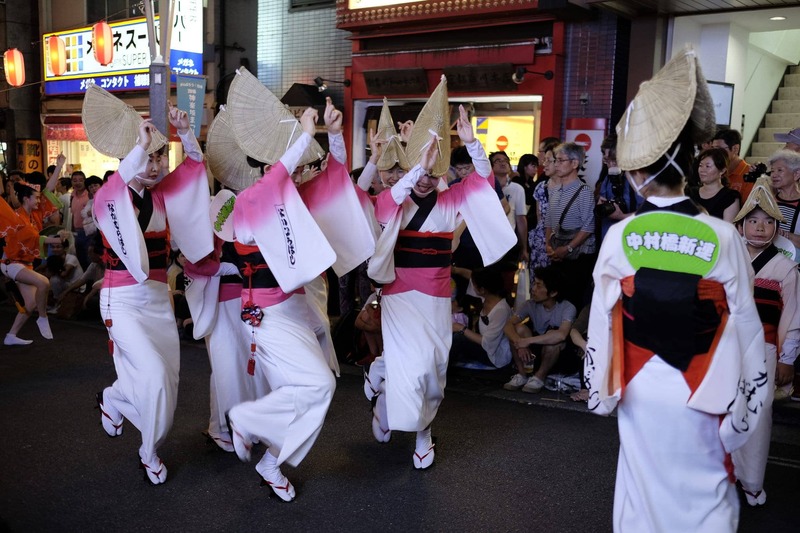 I even spotted a few foreigners among the dancers – I wondered how they go involved?